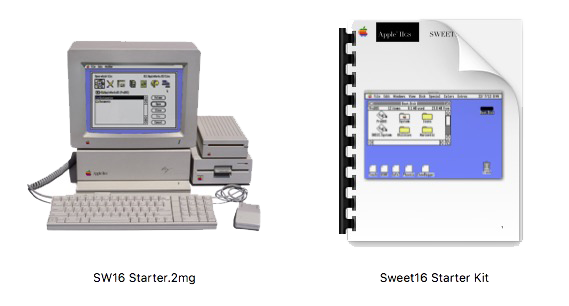 The Sweet16 Starter Kit consists of a PDF with a set of instructions, and the SW16 Starter.2mg disk image. The disk image has been built so everything you need has been pre-configured, and will allow you to connect to the Internet right out of the box. Although there are many things you might wish to change in time, until you have got things working, please do not change anything other than is described in the manual. If you need to, simply extract a fresh copy of the SW16 Starter.2mg file, and start over. The disk image has been built to mount in Sweet16 v2.3.1 or later, and to run in Mac OSX 10.5 or later. It has also been pre-configured with Marinetti, and to allow direct printing from any IIgs application directly into TextEdit.